This Renault Modus 1.2 16v TCE 100 was produced from 2007 to 2010. 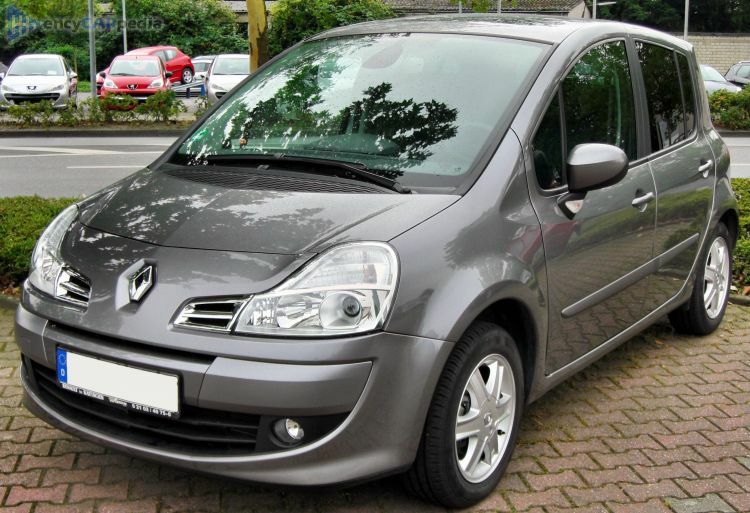 It was facelifted in 2011 with the 2011 Renault Modus 1.2 16v TCe 103. It's a front-wheel drive front-engined small MPV with 5 doors & 5 seats. With 99 hp, the naturally aspirated 1.1 Litre 16v Inline 4 petrol engine accelerates this Modus 1.2 16v TCE 100 to 62 mph in 11.2 seconds and on to a maximum speed of 112 mph. Having a kerb weight of 1165 kg, it achieves 47.9 mpg on average and can travel 516 miles before requiring a refill of its 49 litre capacity fuel tank. It comes with a 5 speed manual gearbox. Luggage space is 198 litres, but can be expanded to 1283 litres for larger loads.